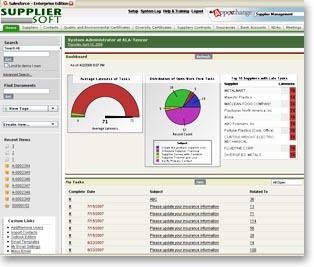 Instead of buying software based purely on a demonstration, see it for yourself how SupplierSoft solutions will help you manage your supplier facing business processes. Request a free trial and we will set you up for a thirty day free trial. No Software downloads, nothing to install, all you need is a web browser and an internet connection to access our software. After your thirty day free trial - if you choose to move forward - you just pay monthly subscription fees with no long term commitments. Since pricing is based upon number of users, you can start with small number of users and expand at a pace that makes sense for your needs. We are taking the risk out making a decision. So why delay a free trial?